Looking for art in Asheville? We can help so you’ll find exactly what you love! It’s no secret that Asheville is a top national arts destination. Hundreds of professional artists live here, and create in studios in this beautiful part of the country. The arts culture is well established, and all over Western NC there is so much to see and to experience. How do you best maximize your time? Area arts insider, and native of the region, Sherry Masters is here to help you. Did you miss visiting when Biltmore had the Dale Chihuly exhibition? Plan your trip anytime and we can visit glass studios in western NC! Thank you for signing up. 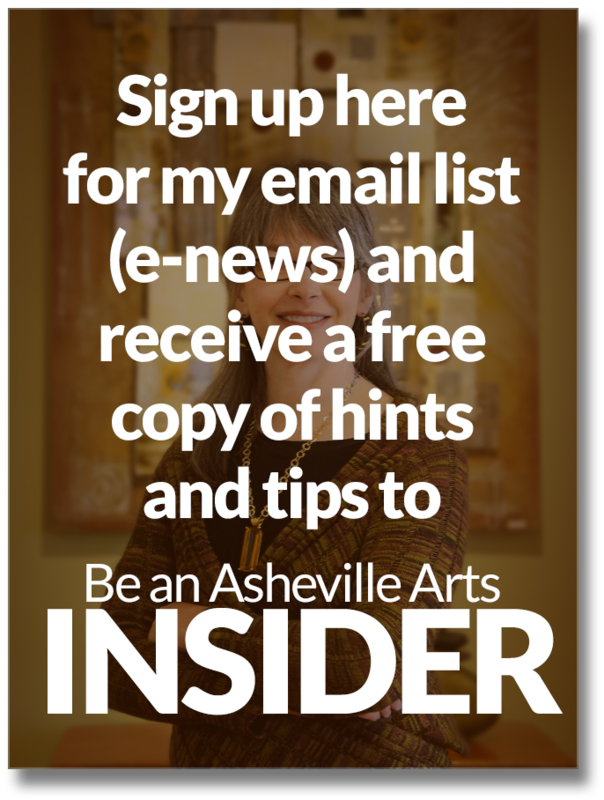 Click on the download link to receive your FREE copy of "Be an Asheville Insider." Recently I had the opportunity to take a film crew from UNC-TV with me on a tour to glass studios! Watch the segment that aired on North Carolina Weekend right here. Approximately 100 glass artists live and work in the Western NC region today. Anytime you come to the area and want a glass studios tour, Art Connections can make that happen. Discover the arts in the Asheville and Western NC region! Our feature is the Campbell Folk School, in Brasstown NC. 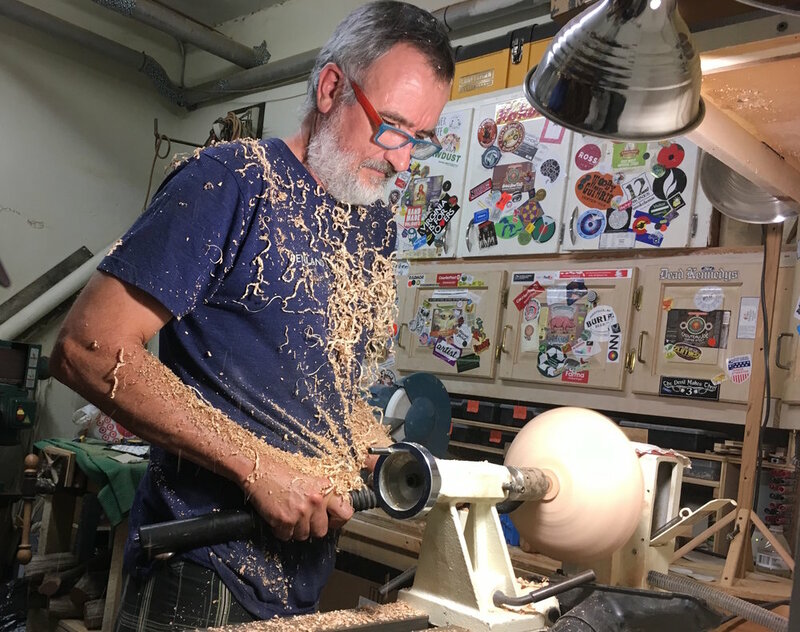 Learn who's who in the artist community of Asheville and the surrounding region. Connect with us! A customized tour is an opportunity to explore art studios that interest you. Here's a look at a recent tour. — Monica Moses, editor in chief, American Craft magazine, July 15, 2015 tour.